According to the National Retail Federation, Americans will spend an average of a little under $1,000 on holiday gifts during winter. That's not counting the new outfits to buy for holiday parties, decorations needed to bring joy to your house, and all the special treats and family meals that make the holidays so memorable. These expenses can really add up. Now that the concept of a "Christmas bonus" has become dream instead of reality, it's time to get creative in making sure you're able to pay for everything you need to make the holidays a success. Try some of these tips to cover holiday expenses for the whole family. It's easy to get carried away when you see all those sequins, cute holiday sweaters, and gold high heels to wear to holiday parties throughout December. But buying new holiday clothes can really add up. Consider limiting your new outfits to just two new dresses. Maybe thrift shops have gems you can find, or perhaps your friends have dresses far in the back of their closets they no longer wear. Clothing swaps can be fun and keep your budget on track. Take time to brainstorm what each family member might really want rather than heading to the store and getting swept away by all the options. If you create a list well before you go shopping, you'll have a better idea not only of how much you may spend, but also what can make your family happiest. Just because there's a big display in the store doesn't mean your loved ones will be as impressed when they unwrap those items on the big day. Black Friday and Cyber Monday are serious business. You can get some amazing deals if you're prepared to hunt around for exactly what your family members want. Even after the big sale days, many brands feature deals that can help ease the budgetary pain of buying Christmas presents. Instead of just buying an item, shop around to get the best cost. You may be surprised how much one store varies from another. With online shopping, it's easier than ever to compare. Instead of racking up debt that can that take months and sometimes years to pay off, consider getting an installment loan to cover your holiday expenses. Even if you have bad credit, you may qualify for an installment loan with no credit check needed. By taking out a small personal loan with AmeriCash Loans, you can rest assured that you'll be able to pay for all the holiday gifts, outfits and meals that you want. 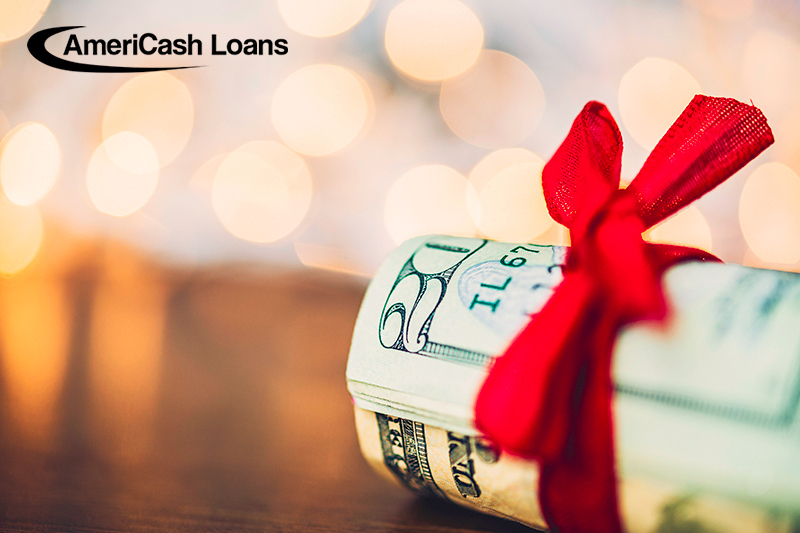 Take the stress out of holiday shopping with AmeriCash Loans. We provide fast, easy, and convenient loans of up to $4,000. Apply today!